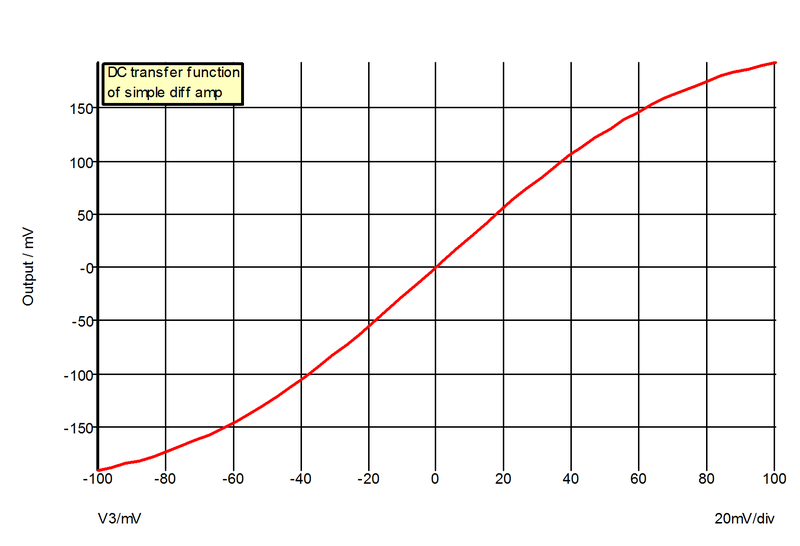 Operates in any of the sweep modes described in Sweep Modes, except Frequency. 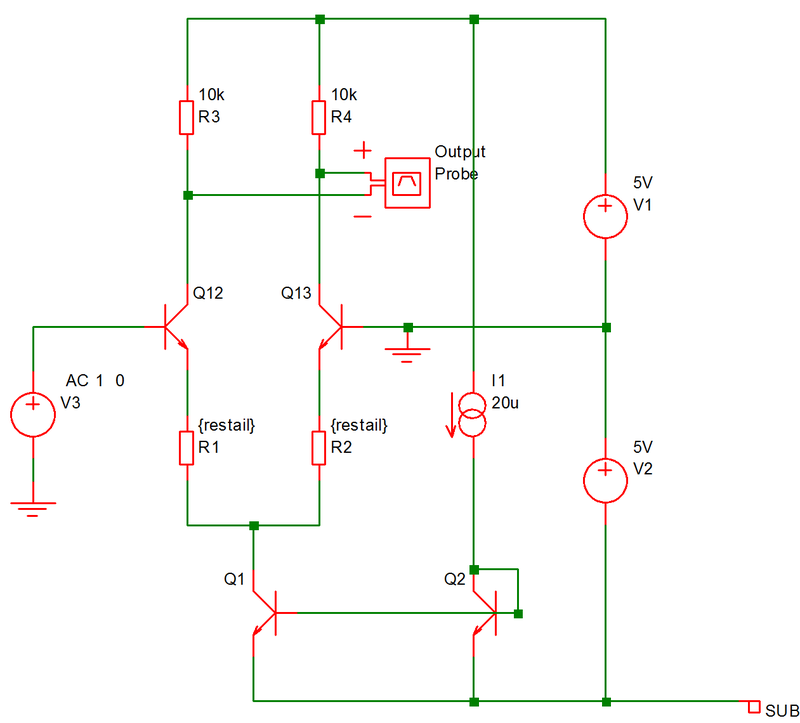 Repeats a DC operating point calculation for the range of circuit parameters defined by the sweep mode. Select DC sweep check box on the right. Select DC tab at the top. Enter parameters as described in the following sections. Sweep range: -0.1 to 0.1, linear sweep with 50 points.